“God created the world, the rest was made in China,” sings Lourd de Veyra. The concern about the Asian factory has lingered for decades. Overlooked has been its gradual strategic transformation from imitator to integrator, or even innovator. Will China overtake the U.S. and become the new No.1 economy of the world? This anxiety seems as misplaced as earlier forecasts such as Japan’s economy surpassing the U.S. by 2000. Imitation, whether applied by Chinese, European or U.S. firms, is important. Imitation exports grow more rapidly and safely; profits tend to be high and more easily projectable. China as a Low Labor Cost (LLC) economy has also benefited from enterprise dynamics. Chinese companies have launched a record wave of foreign acquisitions, which provided new localized solutions. In 2015, the Chinese government cut taxes and fees for small firms, saving them about $7.93 billion. Meanwhile, public lending to such firms increased by 14.5% to $2.7 trillion. China’s support for domestic businesses is accompanied by constraints on foreign firms. Their entry into China was impeded by policies such as equity limitations, import quotas and censorship. Even foreign technology giants are struggling in China’s market with the decision-making of the central government. Government support for firm creation is not as strong in either Europe or the U.S. In many instances government either sees no need for special support of entrepreneurs, or eligible members of the younger generation are just not interested in self-propelled insecure careers. Yet even incubators need warm and generous encouragement to match the Chinese entrepreneurial drive. Oxford Economics Research reports that China’s Unit Labor Cost is now only 4% lower than in the U.S. due to an increase in hourly wages and a decrease in labor supply. Employment may change as China’s wages increasingly outpace its productivity, further diminishing its cost advantage. The BCG now claims that more than 50% of U.S. manufacturing executives considered shifting production back to the U.S.
China likes to build walls, be that the Qin Dynasty Great Wall of 221 B.C. or the Great Internet Firewall of today, blocking eight of the world’s 25 most-trafficked websites. China’s regulation of the Internet not only burdens foreign suppliers but also hurts the users who rely on it for their business. According to The Wall Street Journal, more than half of the start-ups in China rely on access to information and the exchange of ideas worldwide. Currently, companies obtain blocked information by purchasing a virtual private network (VPN) and connecting to servers abroad through encrypted channels. But jumping over the Great Firewall can hinder creativity and lead to discouragement. Marketers can reduce the pain of adjustment and make use of open windows of opportunity. For example, they can zero in on the Chinese shortcomings of information flow and Internet restrictions. In parallel, there can be the emergence of an entire sub industry of internationalists that helps leap the wall. Global research and training centers can focus on supporting new processes. For example, big data analysis could be enhanced through well-financed cross–collaboration between China and the American Marketing Association. Such ventures will make it easier to develop insights in neuroscience, and also permits ongoing analysis of the culture specificity of findings. Conduct investigations based on the triple helix which simultaneously combines, on a global basis, the insights and analysis of the policy, business, and research sectors. Provide internships around the globe with the support of public funding. Young managers would learn how to become internationally oriented and appreciate cultural shifts. Collaboration with China is possible and desirable and much preferable to the imposition of reciprocal restraints. Ongoing collaboration will be instrumental in building mutual trust. Countries and companies have for decades subsidized China by providing market access, acceptance (voluntary or not) of dumping prices, tolerance of questionable quality practices, insufficient intellectual property compensation, and exposure to dubious digital practices. China no longer requires those supports for trade success. 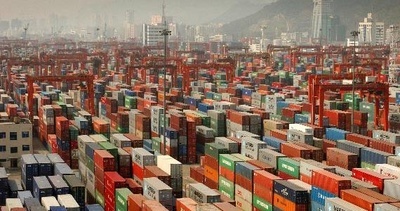 China can afford to pay “full freight” to all its market partners when it acquires and learns about insights, goods, and services, reflecting the full cost recapture of development and production. The country can also be expected to concede equal regulatory treatment for indigenous and international firms, establishing a measure of fairness in its market. It would be wrong to expect otherwise for the nation which has provided the international community with key bedrocks later refined by others, such as the compass for orientation, paper for money and writing, and fireworks for gun powder and celebration. Professor Michael Czinkota (czinkotm@georgetown.edu) was a Deputy Assistant Secretary of Commerce for international trade. He teaches international marketing at Georgetown University’s McDonough School of Business in Washington D.C and at University of Kent in Canterbury, England. His key book is International Marketing, 10th ed., CENGAGE. Shuo, Zhang is a graduate student of McCourt School of Public Policy at Georgetown University.